100% Safe Materials: SGS certified. Plated in GENUINE SILVER PLATINUM with the Look of Fine Jewelry. 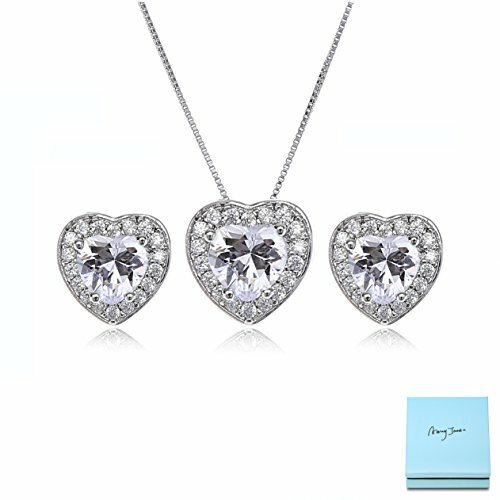 5D shiny attractive clear heart shaped cubic zirconia crystal rhinestones with copper. Hypoallergenic. Tiffany Blue Gift Pack: Wrapped in a fashion gift box, which is ready for gifting. This heart jewelry set with birthstone is simple but elegant. It is an excellent way to express your love to your special one. Perfect gift idea.